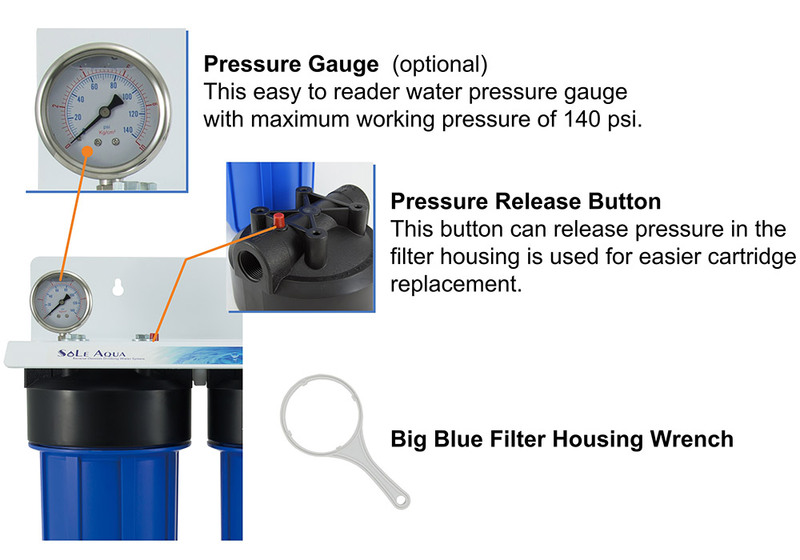 Big Blue filter housing have NSF certification. 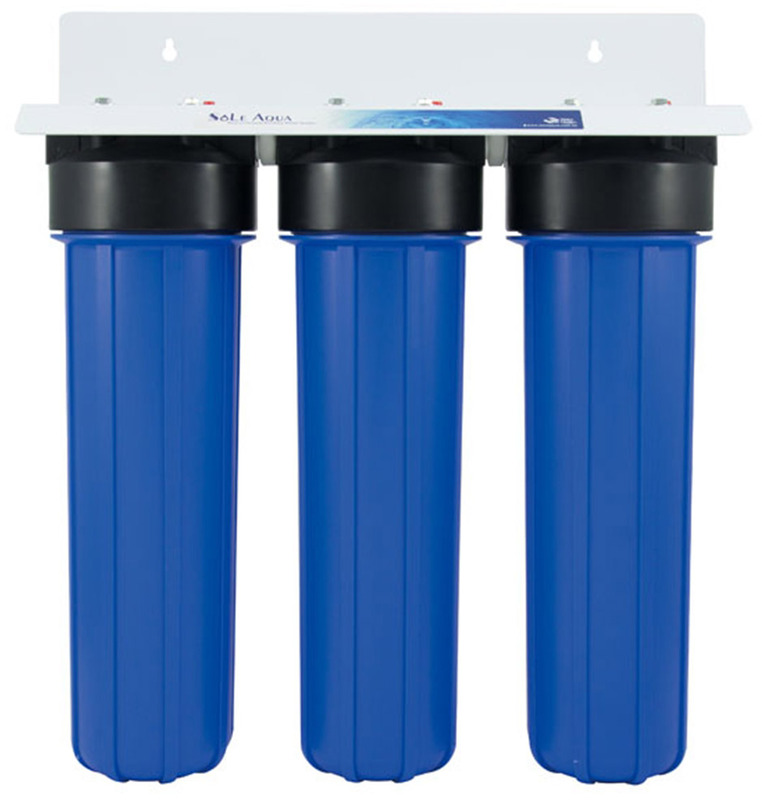 Our Water Filtration System is the best solution for all of your water applications. Removes rust, silt, scale, sediment, dirt, coarse sand and sand from water. 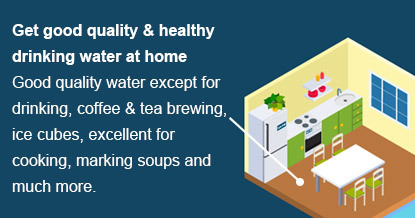 Reduces chlorine, organic chemicals, unnatural tastes and odors found in tap water. 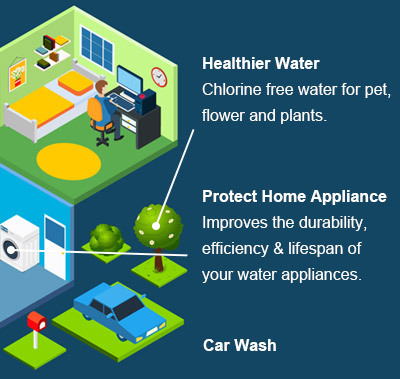 Reduces cloudiness, VOCs, chlorine, organic chemicals, unnatural tastes and odors found in tap water. In / Out port 3/4", 1", 1.5"